Societies around the Baltic, North and Mediterranean Seas face serious maritime problems as a result of increasing vessel traffic. These societies have the need and higher demand to preserve safety and security and to respond quickly to possible incidents. In Europe, such incidents often affect multiple countries and societies. Therefore international co-operation is essential to resolve these problems. Currently, information and even invaluable intelligence from various third-party sources are potentially available. 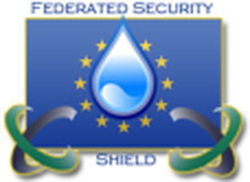 The FedSS project aims to access and incorporate this tremendous amount of structured and unstructured data into security management systems. The main goal is to provide all partners with a new information-handling capability disclosing data sources on a secure need-to-share basis which uses semantic-information techniques instead of syntactic protocols and where the information-handling capability is visualised via rich Internet applications (RIA) on tablets.